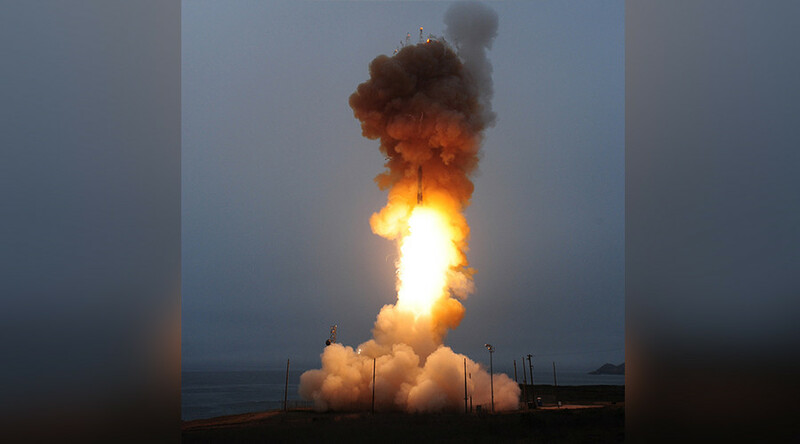 The US Air Force test-launched a Minuteman III missile, just days after North Korea fired its latest missile into the Sea of Japan (also called the East Sea). The US missile, carrying no warhead, is expected to hit a mock target on a Pacific atoll. An unarmed Minuteman III intercontinental ballistic missile (ICBM) lifted off at 2:10am local time from the US Air Force North Vandenberg base, some 210km (130 miles) northwest of Los Angeles, AP reported. The launch is said to “validate and verify the effectiveness, readiness, and accuracy of the weapon system,” according to Colonel Michael Hough, commander of Air Force Global Strike Command’s 30th Air Wing. This will be the fourth Minuteman ICBM launched from the Vandenberg base this year. The first 2017 test took place in February, involving a Minuteman III that traveled to the Marshall Islands, carrying a non-explosive warhead. Another test was conducted by the Air Force on April 26. Days later, a third test missile launched from Vandenberg base. The latest Minuteman launch happens days after North Korea test-fired a long-range projectile assessed by the US and South Korean militaries as an ICBM. The missile has been launched last Friday from an area in Mupyong-ni, traveling about 1,000km (621 miles) before landing into the Sea of Japan. The move has drawn wide condemnation in the international community as the projectile may have crossed paths with commercial airliners flying through the area. Numerous media reports said an Air France flight 293, traveling from Tokyo to Paris on the day of the missile test with 323 people on board, passed through trajectory of the missile just 10 minutes before it plummeted from above. 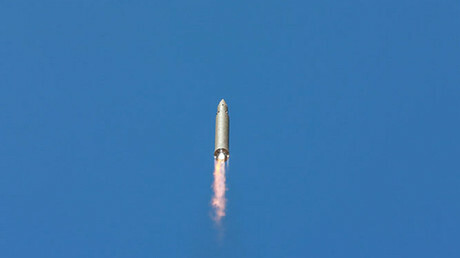 Earlier in July, Pyongyang claimed it conducted its first-ever launch of an ICBM, the Hwasong-14, which reportedly flew 933km in 39 minutes, reaching an altitude of 2,802km. Notably, the preceding Hwasong test occurred on July 4, specifically sending a message to the US as it celebrated Independence Day. Though the Pentagon said the missile was an ICBM, South Korea’s intelligence maintained that the reclusive state did not appear to be technologically capable of building intercontinental ballistic missiles or have testing facilities for them. Russia also provided evidence indicating that the missile launch on July 4 was a test of an intermediate range rocket, much smaller in size and with lower capabilities than a conventional ICBM. The Minuteman III is a silo-based ICBM, manufactured by Boeing. It entered service with the US military in 1975 having an expected 10-year life span. In 1993, the corporation upgraded the missile’s avionics to extend its service life beyond 2020.